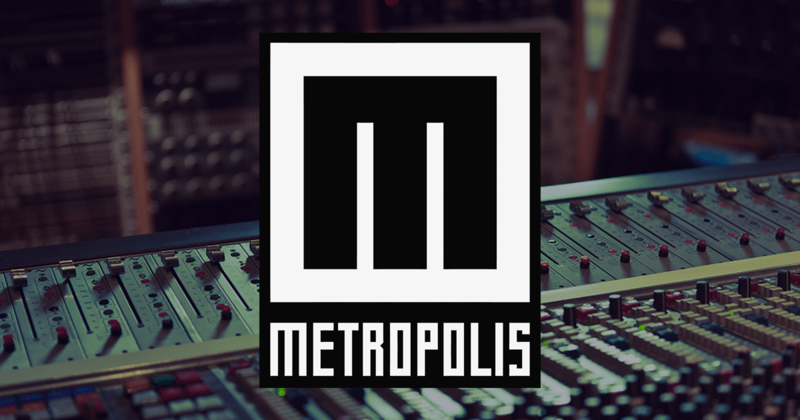 In an age where we see more and more professional studios fade away, London’s Metropolis Studios has been able to remain standing. Paul Norris and Liam Nolan are currently working as a part of their engineering staff. Thanks to my friends over at Unity Audio, I was afforded the chance to speak with Paul and Liam about their work at Metropolis. Hi guys. Can I start be asking how you both got your start in the audio industry and how you came to work at Metropolis? Paul: I went to Hull University, and studied Creative Music Technology. After that, I spent a year trying to get working experience. 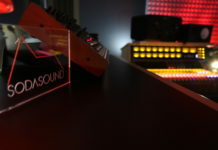 Eventually, I got the chance to do three months at a studio called Soundworks, in Leeds. On the day I left Leeds to come back to Essex, I got an email from Metropolis, asking if I wanted to do some work experience here. So I did eleven months here, and became an assistant after that. I’ve been here five years now. Liam: I went a slightly different path than Paul, since I didn’t go to university for audio. I started by volunteering at the Roundhouse, where they had a studio underneath the main venue. I worked weekends there for a couple of months. During that time, the studio manager at Metropolis chose out a couple of us volunteers to be given a tour of the studio. It so happened that the bar at Metropolis was being refurbished, and they needed runners to help out with that. So I handed in my CV the next day, and got a job as a runner. The engineers eventually starting letting me in on sessions as I ran my errands, and I gradually worked my way up. That was six years ago. Given that you didn’t have much audio experience prior to coming to Metropolis, Liam, how were you able to sufficiently train your ears to hear the things you needed, like compression or the sound of specific microphones? Liam: Training your ears comes with experience. Over time you learn how to hear things, like when a compressor is flattening things too much. Paul: I learnt more about how to train my ears at Metropolis than at university. University was more of a footing in things. In the real world, you learn how to differentiate between what sounds good and what doesn’t by listening to music. Also, you change the way you listen by being in a studio for fourteen hours with other people. You notice what they pick up on and what they dislike, which offers more perspective on how to listen. When I first became an assistant, I didn’t technically know anything, and I didn’t need to, as long as I could plug the gear in. The engineer I was assisting was a world-class engineer, and already knew the technical stuff. So the early stages aren’t about having technical knowledge. The more time you spend working in a studio, the more you’ll learn how to listen. I would assume that during those early stages, part of the learning process was trial-and-error. How did you handle making mistakes, perhaps even at the client’s expense? Paul: You have to act quickly in those situations, and a big part of that is learning from other people’s mistakes. As an assistant, you see your boss make a mistake, and you think, “I’m not going to do that“. As far as microphones goes, you have an idea of what mics sound good with certain sound sources. But it all depends on how much time the client has. If they’re pressed for time, you’ll have to pick the mic you know can get the job done, even if it’s only 80% there. It’s important to remember that artists don’t have time.They might turn up and only have a day to get the vocals right. They don’t have time to be testing mics to find the best one. Liam: If something is wrong, you have to react quickly and change the mic out, or adjust the EQ and compressor, and that’s part of the workflow. Tell me about your clients. Do you have your own clients that come here to work with you specifically, or are you assigned work by Metropolis? Paul: Generally, people come here as clients of the studio, but once they become comfortable working with an engineer, they might ask to continue working with him. A lot of the clients will be happy to have any of us though, as they trust Metropolis. Clean Bandit worked with Liam all of last year, because it was smooth for them, and he did what they wanted. What have been some of your regular clients Paul? Paul: I did a lot of stuff last year with a guy called Nick Patrick, who’s worked on Downtown Abbey, which involves a lot of classical cross-over music. 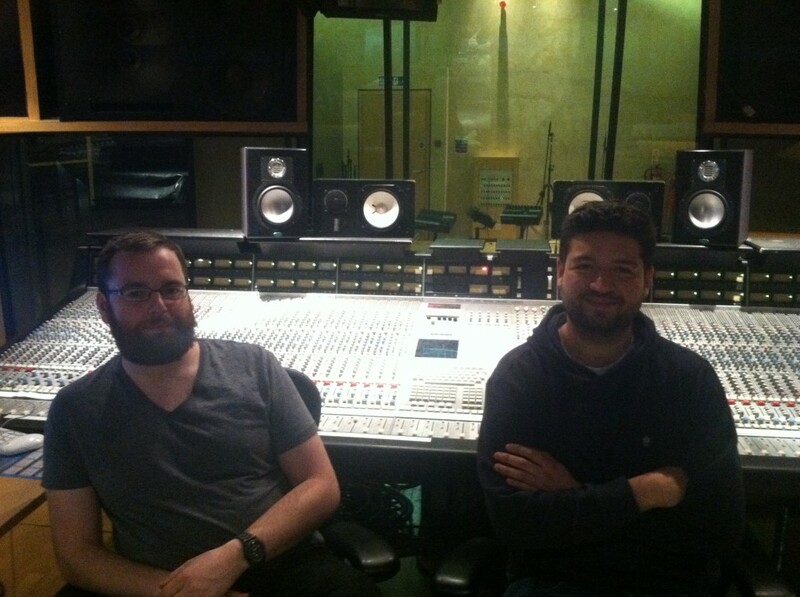 I did some sessions with Kuk Harrell as well, who’s worked with Jessie J and others. Sometimes you’ll have a guy come every week for a month, and you’ll think “I have a regular client now“, and then you’ll never hear from them again (laughs). So it varies. Liam: Exactly. A lot of times, our sessions simply involve people coming in who expect to get a good recording quickly, with someone who’s proficient. Paul: A lot of our pop music sessions are comprised of solely recording vocals. So from an engineering point of view, artists want you to be quick on Pro Tools, which we all are. Liam: High-profile clients may only have three to four hours of their day to lay down the vocals, so you don’t have time to make mistakes. You need to be confident in yourself, especially when working with rappers. I’ve had guys who do only one take, and you need to be confident that you have the right settings on the pre-amp and compressor, since they aren’t doing it again. As engineers, do you have to think about creating and maintaining music industry connections, the way producers do in order to get work? Paul: Well, as employees of Metropolis, not so much. But at some point in our careers, we’ll have to go freelance, and that’s certainly the kind of thing we’ll have to build up at that point. When you’re self-employed, you end up getting work through your network of connections. Currently, ours comes through the studio. Tell me about the studios you have here. How many are there? Paul: We have four studios here. There’s “Studio A” and “B”, which are both tracking rooms, and “B” is the smaller of the two. There’s two mix-rooms , “E” and “C”, which both have vocal booths. “Studio D” was turned into a mastering room. And what about your monitoring? Metropolis has a bunch of different speakers, right? Paul: Yeah, we have some PMC twotwos upstairs. Liam: We have The Rock from Unity Audio down here in Studio B, and the Focals are next door, as well as Adam. We have some Proacs too. I’ve noticed that The Rock seem to be a mainstay in a lot of rooms. Liam: Yeah, they’re permanently set up in “Studio B”. Paul: We had a pair of Focal Twins in here, but when we set the Rocks up, the Focals haven’t gone back up (laughs). Paul: I’m very happy about that. They’re small, but the bass response on them is fairly incredible, even for their size. Liam: They translate really well between different sets of speakers and it’s easy to know where you are with them. Paul: They’re a little bit like the NS-10s, in that there’s little hype to them. We already know that the low-end is going to drop off at a certain point because they’re not ported, but what you trust what you hear. We can check the low-end with our huge Genelec speakers anyway. We’ve had other speakers that I thought were great when we first installed them, but after a month I had no idea what I was hearing anymore. Tell me about the different desks you have here. Liam: We’ve got a different desk in each room. “Studio A” has an SSL J-series. “Studio B” has an SSL G-series. 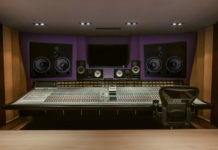 “Studio E” is a surround-sound mix room with an SSL K-series, and “Studio C” has a Neve VR. So clients have different things to choose from. I’ve heard a lot of people say “track on a Neve” because it has great sounding pre-amps. Is that consensus in the audio world? Paul: To an extent, but I think there’s a lot of mythology to that. Even the difference between the pre-amps on a Neve VR and a Neve 1081 are vast. It’s about different flavors for different things. If you wanted a desk full of mic pres, then I know many people who would argue that an old Neve would sound great. But the problem with having an old Neve is that it’s going to need constant maintenance. Liam: If you have flying faders on a Neve, I find it enjoyable to mix on, contrary to the “mix on an SSL” saying. It’s a lot more simple than automating an SSL with a computer. What have been the most challenging sessions for you guys thus far? Liam: I would say the most challenging sessions for me were the early ones, when I first started assisting. The first six months for me were overwhelming. Learning the basics and being hospitable to clients was all a part of the learning curve. Paul: When you start engineering, you might have moments of doubt, but when you get over that feeling, you know how to make things work. I can’t remember a time where clients asked us to do something for them, and we were unable. To be honest, the most challenging sessions are the ones where you haven’t been told what’s going on by the client. If someone is coming in here at 10am to track drums, I’ll be here at 7am, putting up mics, and will have the drum kit ready. I’ve had sessions where the artist shows up without having given me any information about his plans, and says “We’re going to record drums and a full band“, and I’m like, “Uh, ok. but it’s going to take two hours before that even happens. We need to set everything up“. Liam: To an extent, you can pre-empt things by setting up a vocal mic or something, but it only goes so far without the right communication. When you guys work with an electronic act, such as with Liam and Clean Bandit, do you only have to track vocals then? Liam: They’re interesting. A lot of their music is already produced by Jack Patterson, since he has Ableton on his laptop, and when they come here, it’s mainly to record the acoustic elements, be it vocals or piano. We have a beautiful Fazioli in “Studio A” that they like. We did strings here too, which were all done live. Once we’ve done that, I’ll help with the arranging. You guys do producing as well then? Do you get credit for it? Paul: Most of the time you don’t even get credited for being an engineer on stuff. It depends on the record label and other things. There’s probably things we do as engineers that would technically qualify as “production”, but if you refused to do them on the basis of not being credited, it would be silly. Paul: The term “producer” has changed from the guy who worked with the band and suggested the best means of recording the music to someone who makes the beats. Within that spectrum, some of what we do could be called “producing”, but doing it is part of our job, and I love it. What is it that you have to keep in mind when setting up a session to record drums? Is there a recording template which gets used often? Paul: It depends on the session. If you’ve got someone coming in to track drums for only one day, I would stick up a lot of room mics. I’d rather have the basic kick, snare and tom mics, and then A-B the room mics later. It’s not the standard way of doing it, as it’s quite non-commital, but if I was producing, then I’d be more committed to a certain number and model of room mics. Liam: For drum tracking, if you’re in contact with the client before-hand, you try to sort that out. They might say, “For this track we need a tight, punchy drum sound“. So you’d know that the drum kit needs to be in a dead room, close-mic’d, with a little bit of overheads. But if you don’t know these things, you have to try to make a versatile recording that they could use later. When it comes to selecting close mics, I don’t think it tends to vary that much. You end up figuring out what you like to use as an engineer, and the room mics tend to vary more. Paul: You’re a lot less likely to vary the snare mic than the room mic. My snare mic is an SM57 on the bottom and a Neumann KM84 on the top. You’re a lot less likely to play around with that during a session, since if you get the kick or snare wrong, you’re in trouble. Are you the types who use the reversed speaker cone in front of the kick? Liam: Absolutely. I use it all the time. Paul: The NS-10 driver sounds better than anything else we tried. I’m still not sure whether it has to do with the paper cone, or the size of it. Liam: For the kick, I’ll have an AKG D112 on the inside of the kick, a Neumann U47 on the outside, and an NS-10 driver just to blend in some sub. Paul: When you use the NS-10 driver, you’ll have to do a lot of filtering to get it to sit right with the drum kit. Obviously, you’ll have to take out some of the high-end. You’ll also have to take off some sub, to line it up with the actual kick. Liam: In situations where using the NS 10 driver doesn’t work, I’ve found that it may have to do with the outer skin of the kick drum. If it’s quite loose there, it doesn’t push the cone that well. Interesting. And what do you tend to do for room mics? Paul: I’ll generally have two sets, and a few mono ones too. For the moment, I use a cross-pair in front of the kit, which gives a phase coherent stereo image. I’ll also use a pair of mics above the kit, maybe pointing them at the floor. I’ll use a lot of mono room mics, which is what I experiment with the most. I’ve started using the U47 as a mono overhead, which you could put over the drummer’s shoulder, or in a corner of the room. Liam: I especially like slamming the mono room mics. Paul: I might also end up gating my mono room mics to a snare, if the kick doesn’t sound great when I’m heavily compressing it. I find it especially useful if the drum kit is isolated in the song, as it allows me to avoid the flamming sound created by the kick when it’s being compressed. What are some of the compressors you turn to when slamming drum room mics during recording? Liam: The dbx 160A is really nice. Paul: The Urei 1176 or Distressor, if your really want to slam things. I put Distressors on the kick and snare, since the dbx 160A doesn’t have attack and release times, which can cause it to kill the snare too easily. The Alan Smart C1 on rooms mics is good too. Do you guys tend to switch pre-amps when recording different sound sources? Liam: Yeah. Pre-amps are interesting. Through time and experience, you figure out what works for what. API pre-amps sound great on guitars, since they add punch and grit. Paul: API’s are great on drums for the same reason. I think people put a lot of emphasis on mic pres, which can be a bit unjustified at times. They get hung up on the mic pre, but not on the tuning of their toms. I’ve had sessions where producers and other engineers say “I want this mic pre“, and after I’ve set it up, they put very little effort into what they’re actually recording at the source. Generally, Neves sound good on vocals. The SSL J-series doesn’t do distortion that great, whereas the Neve can be driven to a nice point. Do you use any ShadowHills products at all? Paul: We used to have some of their mic pres. Liam: They were great because they had different transformers to choose from. They were especially great on overhead mics and for changing the sonics of your source. Paul: We’ve got some of their compressors in the mastering room, though none in the studio rooms. How do you guys go about recording pianos? Liam: I like to record pianos as cleanly as possible, especially grand pianos. We’ve got the Prism MMA-4 mic pres to run them through, which are super clean. For mics, I normally use a close-miced Sennheiser MKH40 in an X-Y position, with maybe a mono U47 at the bottom to catch the room sound and weight of the piano. I might not even use the desk, and go straight from the pre-amps into Pro Tools. Sometimes I put an EQ on the close mic channel for a little top-end if I’m going for a pop sound. I did that with the Clean Bandit stuff, which was very pop-housey. I used the GML 8200 EQ for that, boosting a few dBs at 12Khz – 14Khz. Paul: The Prism MMA 4s are great for pop vocals as well. For pianos, I wouldn’t process the close mic with compressors, though I might compress the room mic a bit, with a Manly compressor. When you record a band, do you tend to record them all together, playing live? Paul: It depends on the client. Usually, I’d prefer to record everything live, even if I had the intention of re-recording things on top of the drums. I’ve heard that having a bass amp in the live room creates bleed problems. Does that amp go in a separate room then? Paul: Stick a DI on it. Don’t even worry about an amp if you’re doing it live. You can always re-amp it later. It’s possible to get away with recording guitar amps live. Bass is a nightmare for that. I know a lot of people that don’t use a bass amp anymore. Even when they mix, and have the amp stem, they’ll just use the DI stem and re-amp it themselves. Tell me about your plugin usage. Given Metropolis’ extensive collection of gear, do you ever turn to plugins? Liam: When recording, we turn to our analog gear, but when it comes to mixing, it’s a hybrid of two, with a greater bias towards mixing in-the-box, because it saves time. It’s also a hassle when you’re mixing in different rooms, because you’ve laid out the mix on a board, and then have to do it again if you move rooms. If I do use the board, it’ll be for summing. I might also print the desk into Pro Tools to get the sound of the desk, and then mix in-the-box. Paul: Reverbs and delays on a tracking session will always be in the box. That way, you can change sessions, and know the tempo will be the same. I’ve got a vocal template that has three reverbs in it. So I can open whichever one I think suits the session. I’ll have a compressor plugin on the vocal too, during tracking. What tends to be the length on your plugin chains? Liam: For vocals I’d have a compressor doing max three to four dB of gain reduction, for catching the peaks. Then I’ll use a Waves SSL Channel Strip for EQing. If I was mixing, I’d add another compressor to knock down a few dB on the vocal, followed by a deesser plugin. I’ll also have an aux channel for limiting, so I can send a dry vocal to it if I want to bring things upfront. Paul: I tend to steer clear of limiters on vocals. It’s quite the modern approach to use it, but for some reason, I’m not into it. I’d rather automate the levels of the vocal to keep sounding natural. Having said that, I don’t quite understand everything that the Waves R-Vox plugin is doing, but I like it, even though it’s probably limiting stuff a little. Cool. Can I round up by asking what do you guys have coming up in the rest of 2015? Paul: It’s week to week for us, and generally changes. I don’t even know what I’m doing next week (laughs). People book a lot of last minute stuff. We can’t talk about the people we’ve worked with thus far either, as the music hasn’t been released yet. Liam: A lot of our bookings, especially our American clients who are here doing shows, might call in spontaneously and book an hour.